Earlier this year ITS started a book club aimed at reading books we thought would help us continue to learn and grow at work. 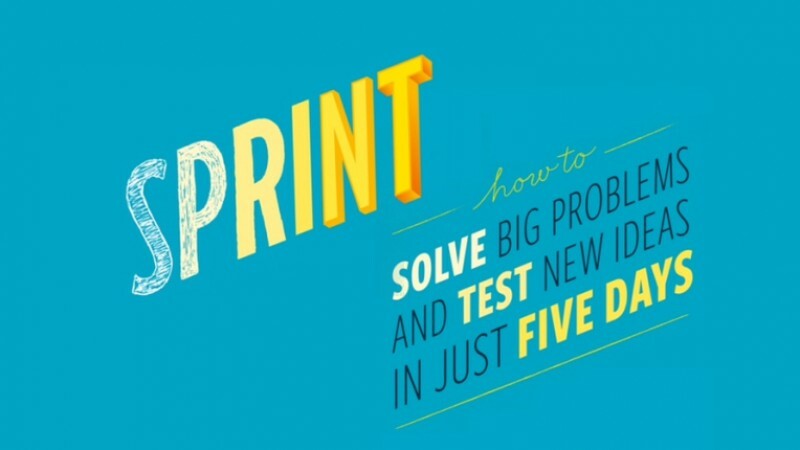 This past month we finished reading a book called: Sprint: How to Solve Big Problems and Test New Ideas in Just Five Days by Jason Knapp. The sprint is a process of structured brainstorming for answering critical questions through design, prototyping, and testing new ideas with users. Developed at Google Ventures, it combines some business theory, innovation, behavior science, and design thinking into a five step process that happens over the course of five days or some modification thereof. How Might We Apply a Design Sprint in Higher Education? Not many of us have 5 full days to completely devote to a project or a task. However, many Design Sprints can be modified. For example, at the Innovation Academy at the University of Florida in their 5 week interdisciplinary Summer intensive course, they had their students answer the question: How can we improve our planet by reducing food waste and loss? 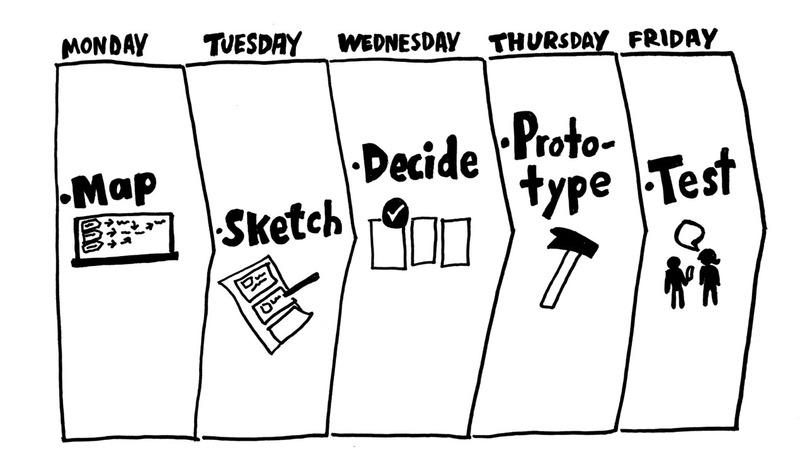 using the process of a Design Sprint. Instead of a five day Sprint, they met twice a week for five weeks to meet the course meeting-time requirements. In another example, driven by the belief that the best professional development is participatory and provides connectivity, the University at Mary Washington has incorporated Design Sprints into their faculty development workshops. Their Division of Teaching and Learning Technologies does a monthly 1 hour Design Sprint with their faculty to solve problems they often experience in the classroom. During their workshop they take their faculty through the process of the first three steps, and then the faculty take what they generated in the workshop and turn it into something they can use for their courses. For some projects, maybe the problem is already clearly defined, and so it’s easier to skip the first 3 steps and go straight to prototype and test. For others, maybe the prototype and test may be the most important. It all depends on where you are in a project. Mostly, this process gives you useful techniques to increase creativity and generate new ideas while prioritizing your users’ needs first. 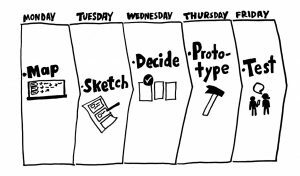 If you’re interesting in running a Design Sprint for your class or department, or if you have any questions about the process please contact us at acadtech@swarthmore.edu.